In this addition of the VACPAC newsletter we want to shine some light on the D400 Fail Freeze, a very simple signal generator called Mr. Signal, an upcoming training class, and introduce you to VAC's newest mounting kit. Thank you for your business and we hope that everyone has a safe and happy Thanksgiving. 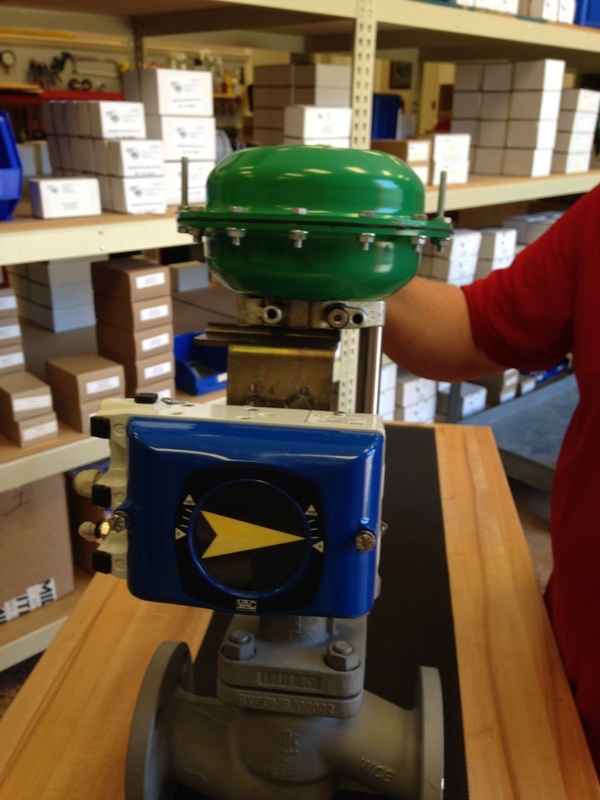 This D400 Fail Freeze is designed to fail in place on a loss of control signal. These D400s are typically used on damper drives, because when there is a failure of control signal you do not want the damper to shut or go all the way open. On typical positioners on a loss of control signal you go to the preset failure point which is typically the 4mA position. We do have this option with our V100 and V200 using a Fairchild I/P. The D400 is an attractive alternative because of it's price point. We are stocking units in Birmingham so please send Tammie an email for a quote. A special thanks to the attendees of our training class in September. VAC's first class of 2016 will be held on March 8th and 9th, it's a great way for anyone of any knowledge level to learn about VAC positioners both from selling the positioner to getting our hands on all our positioner series. We have already had a few people sign up, classes size is limited so please call us 205.678.0507 or email Tammie. 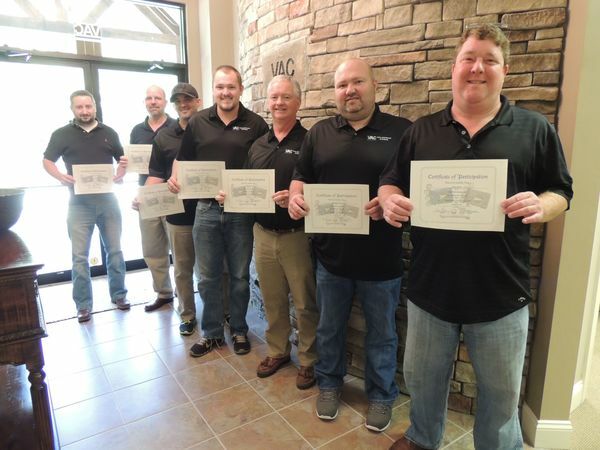 Pictured below from right to left are Mark Mize with Consolidated, David Grainer with Aegis, Terry Mizzell and Jason Clark with Flow Technology, Artie Richardson with Fair Engineering, Eric Sengheiser with Control Products and Scott Abernathy also with Flow Technology. VAC has discovered a very simple signal generator from China called the Mr. Signal that has proven to work well. We have these units in stock and we'll be glad to send you a quote on them. Mr. Signal has an internal battery that is recharged using a USB cable like most phones, and the charge lasts quite a while. Mr. Signal can both generate and read 4 to 20mA signals simultaneously but you must have a battery pack in series with the generator to power the read loop. 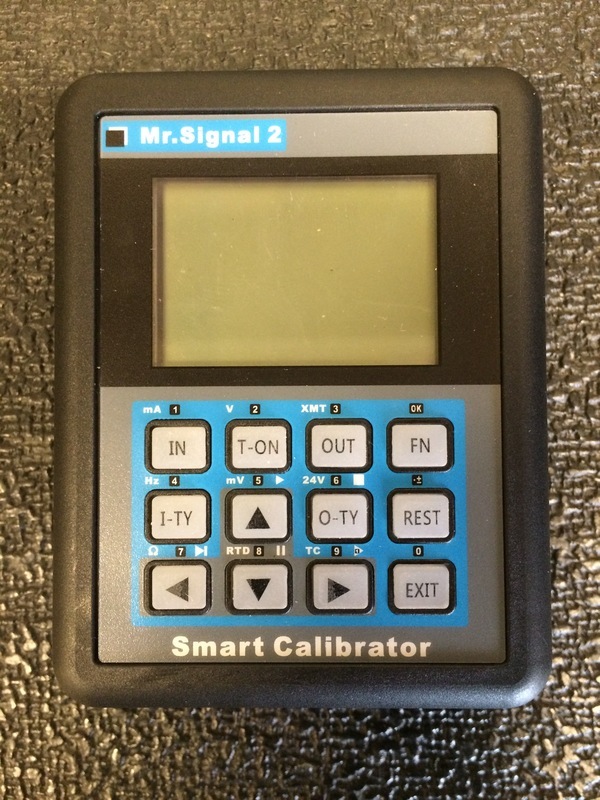 Click here for a basic tip sheet on the Mr. Signal. For more pricing or more information please contact Tammie in our office or call (205)678-0507. 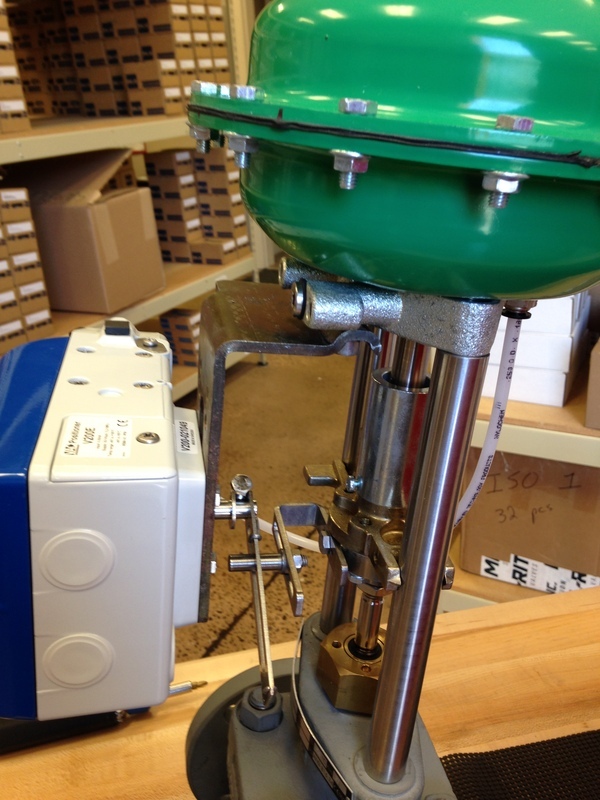 VAC has designed a new mounting kit for the RTK actuators that are made in Germany. The mounting kit is part number 350279, it requires the D5 spindle. Please call our office for pricing or email Scott for more information.